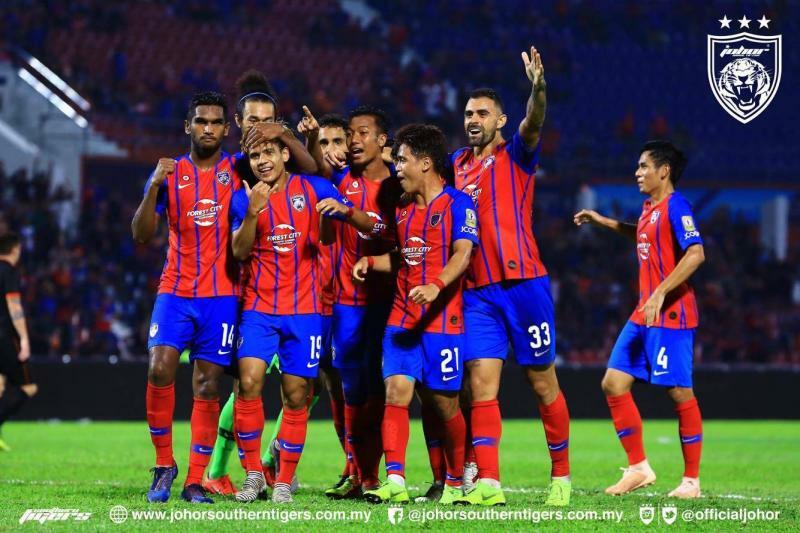 Johor Darul Ta’zim (JDT) regained their place at the top of the Malaysian Super League after beating FELDA United 3-1 at Tan Sri Hassan Yunos Stadium. In truly dramatic fashion, their four goals came in a total of 10 minutes of injury time, after JDT broke the deadlock in the 88th minute through Argentinan striker Gonzalo Cabrera. Jocieni Schad managed to level the game for FELDA, who were languishing in the relegation zone, two minutes later. However, goals from Akhyar Rashid and Diogo Luis Santo in the 93rd and 100th minutes of the match respectively sealed the game for the Southern Tigers. Their return to the top was facilitated by Pahang’s failure to beat MIFA at home on Sunday. The Elephants could only manage a 1-1 draw at home, relinquishing their short-lived time at the Super League summit. Meanwhile, Perak and PKNS FC were forced to share points after both teams tied 2-2 at the Perak Stadium. This was the fifth draw from seven games for the home side this season. Meanwhile, bottom side Kuala Lumpur had a huge boost to their hopes of climbing out of the relegation zone. Striker Guilherme de Paula said their 2-1 win over Kedah at home was a confidence booster, but more importantly, the players must share the responsibility and believe that they can get out of the predicament. The victory on Saturday was KL’s first league win of the season.